Katie grew up swimming and playing water polo in the east bay community of Orinda and from an early age fitness has always been a priority. She went on to play water polo at Cal and after college she was looking for a workout (on land!) that she could incorporate into her schedule. 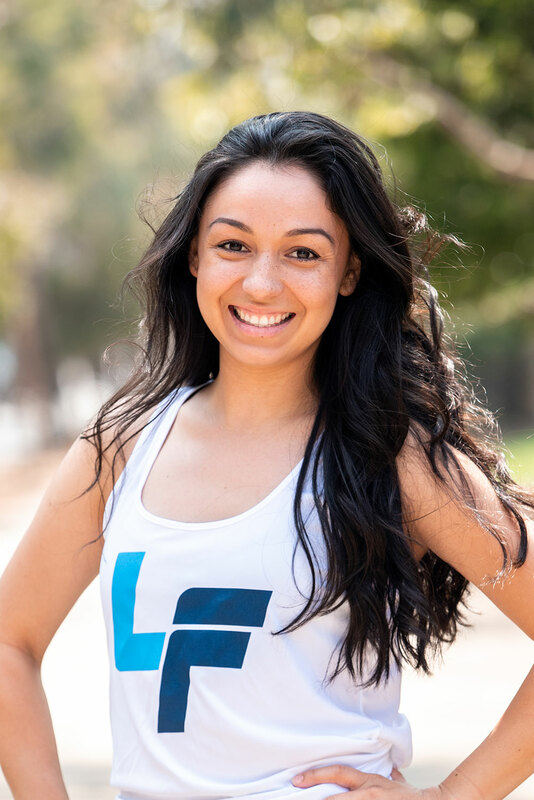 She discovered the Lagree Method while she was living in Los Angeles and quickly fell in love with how challenging the workout is and how fast she saw her body change. And most of all, she loved the community that the workout brought together. She is passionate about health and fitness and is looking forward to creating the LagreeFit 415 community in the Mission Bay neighborhood. Sofia is a fun-loving Latina that will dance her way into your hearts and then spice it up with a killer workout that will get your blood surging. She is an SF native who grew up being exposed to loved ones and friends suffering from an array of health problems, which is far too common in the Hispanic community. This ignited her journey to become a health and wellness enthusiast and dedicated 7 years learning and educating her community on proper supplementation, diet and exercise. Before getting on a Megaformer, she was dedicated to dance all throughout high school & college, lifting weights at the gym and running. She became an instructor over 3 years ago and her appreciation for this workout has only grown stronger with time. Her attention to detail in every move gives you the burn and results your body craves. Sofia’s classes are fun yet challenging, breath-centric and empowering, and playlists that get make you want to dance. (She loves throwing in a good mix of latin spice and 90s/2000s hip hop as well.) You’ll love the vibes of the class setting but still walk away feeling like you received a personal session dedicated to your body’s needs. When not on a Megaformer, she is spending time with her loved ones or enjoying all the beautiful perks of SF ranging from hiking, sailing and discovering new food joints. Jennie is a Kansas City, Missouri (not Kansas) native who loves to sweat any way, every day. Her passion for fitness as a lifestyle was ignited through running and after a detour into corporate America, she made an about face to follow her passion and focus on work that helps others stay active and healthy. Also a NASM certified personal trainer, Jennie uses creative sequencing to ensure effective muscle stimulation for optimal results and brings to her classes a keen attention to form and alignment. When not burning on a megaformer, Jennie can be found singing along to Broadway show tunes and spending time with her boyfriend and two dogs as they hunt down the best coffee and non-dairy ice cream in the City. Meredith is a Maryland native who has called San Francisco home for the past seven years. As an adult, she has found a love in long distance runner and has run six marathons. 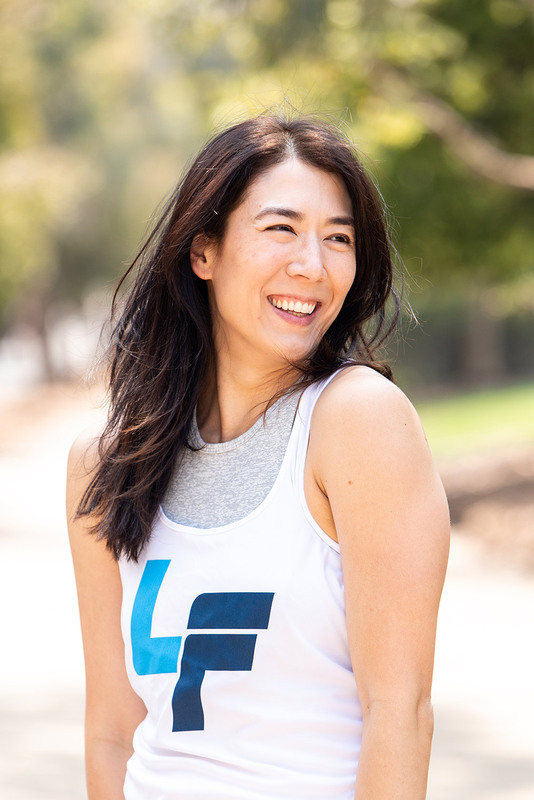 She discovered Lagree three years ago and was immediately hooked because of how tough the workout is, and loves how it has both transformed her body and made her a faster runner. Joining the team at Lagree Fit 415 has fulfilled a life dream of becoming a fitness instructor and she enjoys being able to help others in their quest to get stronger, while hopefully having some fun. When she's not working up a sweat, Meredith enjoys sampling really good non-dairy lattes, rooting for her favorite Maryland sports teams, and exploring the Bay Area (and beyond!) with her husband and dog. Jessie is a Bay Area native who discovered Lagree in 2015 and quickly became addicted to the method and the intensity of the workout. She wanted to share her new love for the workout and has been teaching since late 2015. Expect a high energy class from her with focus on form and tempo and some tough love here and there. Outside of the studio and her normal day job, she loves staying active and getting a good sweat in, traveling (mostly Southeast Asia) and outdoor adventures. Ellen is a Bay Area native who fell in love with Lagree when looking for strength training exercises to switch up her cardio heavy routine. She enjoyed the uniqueness of Lagree and how it never seemed to get easier and decided to get certified. Since then she has taught over 1000 classes and loves sharing the work out with others and seeing the huge improvements in her clients' strength over time. When not teaching, Ellen works in tech, specializing in IT solutions for nonprofits and companies creating a social impact. She also enjoys running, trying new restaurants all over San Francisco and hanging with her labradoodle Lexi. Ellen's favorite Lagree moves are the scrambled egg and runner's lunge.